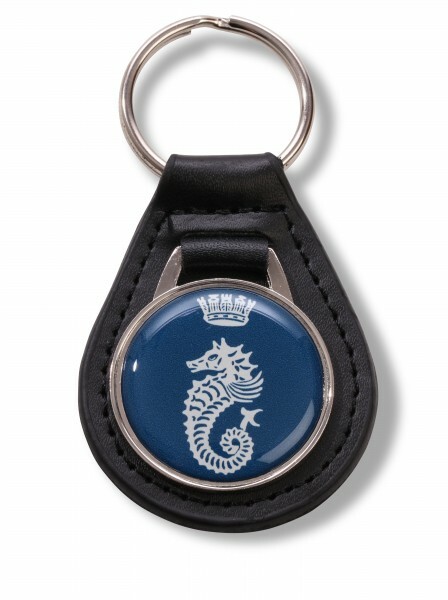 Leather key ring with a domed logo. Presented in a black gift box. Related links to "Key Ring"